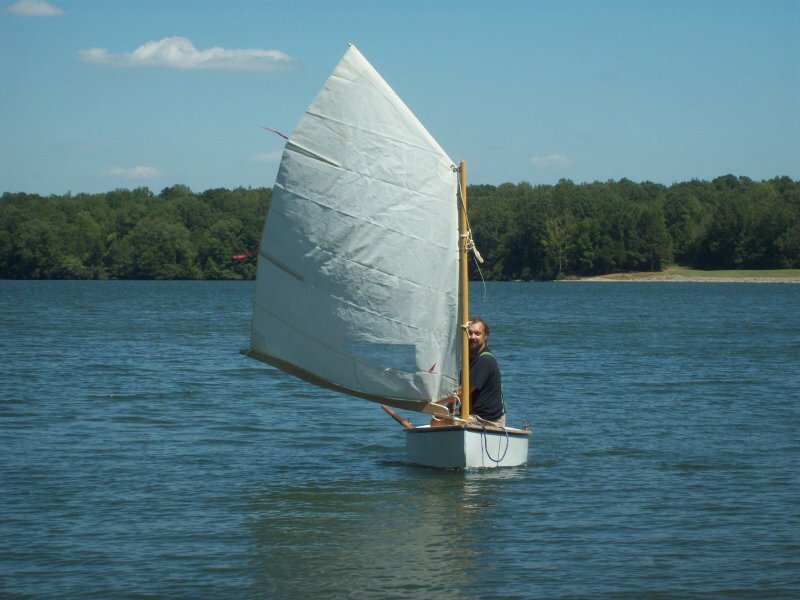 Scotty Pugh is proud of this 7′10″ dinghy, MADER, that he designed and built at his home in Sardis, Tennessee. 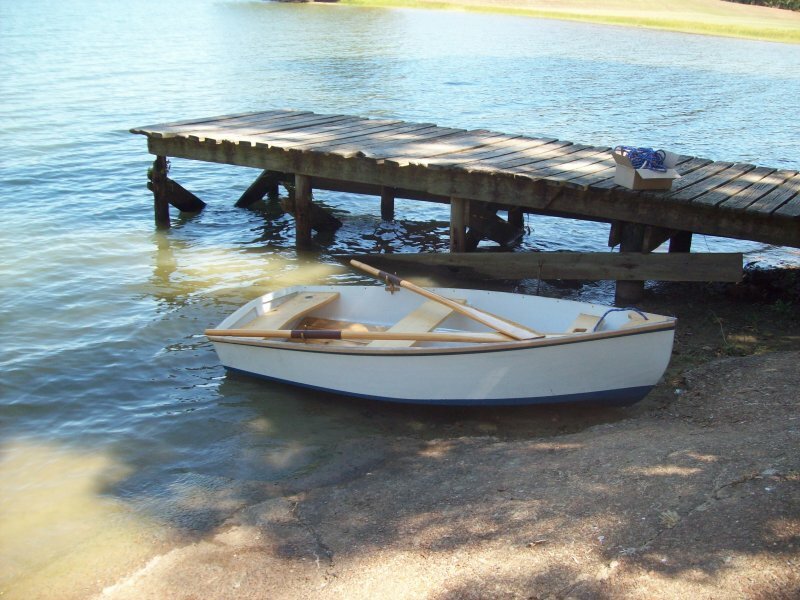 He made the keel and stem from ash, the frames and seats from white pine, the mast and oars from spruce, and plywood for everything else. Scotty launched MADER on Dogwood Lake in western Tennessee on August 28, 2011. MADER is the third boat that Scotty built.